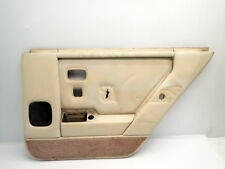 BENTLEY CONTINENTAL LEFT HAND DRIVE fRONT RIGHT pASSENGER DOOR CARD. This item is a genuine part removed from Bentley Continental Gt 2006, Left hand Drive. The bottom internal speaker is not included. Flying Spur 3W5 . This is a new,genuine Bentley part, it has a couple of very small dents which should be easily repairable. We've reduced the price to only £75.00 to reflect this. 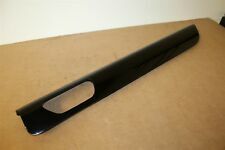 This is a rearright / UK drivers side door upper trim panel for the following cars. 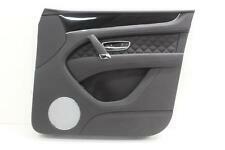 For Sale is a rear passengers quilted black leather door card. Removed from a 2018 BENTLEY BENTAYGA 5950cc Petrol 5 Door SUV. Please see item description for more information, you will receive everything you see in the images. Body panels and other vehicle body parts are used and will have normal tear and wear. All Parts are used and may have hidden faults. We do not cover any garage fees, or any other expenses caused if the item appears to be faulty. This is anew, genuine Bentley part. 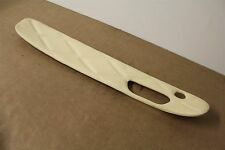 This is aLeft / UK passenger side door trim panel in cream stitched leather for the Continental GT from 2003>. I have the facility to check if this is suitable before you buy. For Sale is a front drivers side quilted black leather door card. Removed from a 2018 BENTLEY BENTAYGA 5950cc Petrol 5 Door SUV. Please see item description for more information, you will receive everything you see in the images. For Sale is a rear drivers side black quilted leather door card. Removed from a 2018 BENTLEY BENTAYGA 5950cc Petrol 5 Door SUV. Please see item description for more information, you will receive everything you see in the images. For Sale is a front passenger side black quilted leather door card. Removed from a 2018 BENTLEY BENTAYGA 5950cc Petrol 5 Door SUV. Please see item description for more information, you will receive everything you see in the images. ARNAGE, AZURE, CONTINENTAL, MULSSANE. LEATHER COLOURING DYE. High quality colouring varnish/dye having high seizing power. Ensure leather is fully clean before any colouring works has taken place, this will open the leather pores and help the leather dye adhere to it;. These cams out of a 1990 Turbo R but will fit other SZ series cars and the Rolls Royce equivalents. 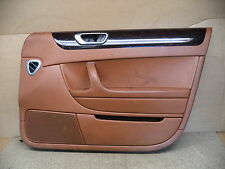 Door Cards - Rear Quarter Trims. Türblende rechts. Bentley Continental GT GTC Right door filler. Over the years we have developed technology for repair cars such as Ferrari, Maserati, Lamborghini, Aston Martin, Bentley, Porsche. In such case, any complaint will not be recognized. Over the years we have developed technology for repair cars such as Ferrari, Maserati, Lamborghini, Aston Martin, Bentley, Porsche. Bentley Continental GT Left door card panel. 22-200 Włodawa. Żołnierska 2. Part number - 3W3867214P. Defects - Item has dirt spots. Suitable for LHD Vehicles. Year of Manufacture - 2010. Model - CONTINENTAL Coupe (3W_). Part number: 3W0035411R. Donor vehicle- BENTLEY CONTINENTAL 6.0 2007 RHD. Year - 2007. Body type - Coupe. RHDrefers to part from right hand drive vehicle (found in UK, Australia and others). Part number: 3W3867213N; 3W0971161E; 3W0868027A. Donor vehicle- BENTLEY CONTINENTAL 6.0 2007 RHD. Year - 2007. Body type - Coupe. RHDrefers to part from right hand drive vehicle (found in UK, Australia and others). Over the years we have developed technology for repair cars such as Ferrari, Maserati, Lamborghini, Aston Martin, Bentley, Porsche. Bentley Continental GT Left door card panel. In such case, any complaint will not be recognized.